One of the most empowering decisions you can make is to own your story. While this may demand that you get some professional help along the way? You can begin healing right this moment. So, if you are ready to open the door to loving yourself, warts and all, pick up an almighty pen and a piece of paper. And write yourself a valentine. Now, I know that when you think about writing a valentine, your mind probably shifts to romantic love. You imagine a dozen red roses and a romantic dinner for two where you exchange thoughtful cards. Or maybe, your mind shifts to your kiddos. And how you want to give them a special valentine – or help them write valentines to their classmates. Possibly, your mind drifts to your own mom and how you’d love to remind her how grateful you are for her. And these are all good and noble things. Acts of love and compassion to loved ones. When you write yourself a valentine, you are offering that same love and compassion to yourself. If you are like most folks I know, our inner voices can be tough taskmasters. Reminding us of our failures and imperfection. Trying to keep us small. Or self-sabotaging all of our dreams because of fears of not being good enough. However, when you extend grace to yourself, invite yourself to leave the past in the past, and choose to move forward? The power of that inner voice grows weaker. Rather than rewriting a painful story, though, in the vein of valentine’s, I want to invite you to return to some of your earliest happy memories of childhood. When I was a little girl, I was curious about everything that crossed my path. Life was a virtual banquet of possibilities. On any single day, I could be a dozen different people. Outside with my little red wagon, I was an Intrepid Explorer and Adventurer. I dug in the dirt and examined archeological treasures. I captured grasshoppers and horned toads, and let lady bugs land on my arm. My imaginary friend and I would enjoy wonderful picnic lunches of mud pies garnished with dandelions. There were fascinating possibilities inside as well. With a pair of high heels and some lipstick, I was a career woman. Cuddling my blanket-wrapped dolls, I would be the mommy. Paper and crayons or paint turned me into a famous artist, and my bed alternated between being the stage from which I could sing songs to thrill the world, or the arena where I dazzled my imaginary audience with my circus tricks. You see, that little girl loved herself completely. She believed in angels and imaginary friends. The inexplicable confidence of a small child allowed her to see beyond her imperfections, and loved her unruly hair and freckles. She was uninhibited and wasn’t yet battle-scarred by life. Remember yourself as a small child. The child that embraced the now and didn’t focus on the “shoulds” of life. Remember the time when there was immense curiosity in the world and you simply anted to explore the coulds and maybes and wonders of the world. If you’re like me, at times it will seem as if you’re looking at a movie of someone else’s life. When, in truth, you’re seeing the unencumbered moments of being purely YOU. Like a confident peacock, proudly displaying every one of your colorful feathers. When you write yourself a valentine, you are going to seek the spark of that pre-school version of yourself. To be completely honest, you must know that the spark of that child still lives within you. And what we’re going to do is write a love letter to that child. Because, by doing so, you invite yourself to heal. You set aside the inhibitions of life and access her inner wisdom. This child within you will help you see the lights on your soul’s path and recognize the deepest desires of your heart. Remember, this is the version of yourself that has not yet experienced heartbreak or loss. And hasn’t yet become obsessed with how she compares to others in looks or accomplishments. This child does not yet silence herself nor does she see herself as a bad or naughty or fat. Rather, she is a loving and lovable curious imp. Perfectly imperfect in every way. Here’s how you’re going to write that valentine to yourself. Pick up your trusty journal. Or, if you want to go old-school, cut out construction paper hearts. Picture the preschool version of yourself in all her glory. If you struggle with picturing her in your mind, find a photo of yourself as a child that you love. See the brightness in her eyes? The shining smile? The pure joy of existing. Welcome yourself with a reminder that you are wonderful and perfect as you are. Remind yourself of a treasured memory: “Do you remember when you…” And expound upon every detail you can fathom so that you can transport yourself back to the warmth of that moment. Write in detail, recalling where you were, what it looked like and even smelled like. Remember what you were wearing and how it made you feel. Next, touch on how special and unique you are. As we get older, we try to morph ourselves into being like others so that we fit in. Instead, explore how brave it is to shine your light and stand out in a crowd instead of simply trying to fit in. Allow yourself to wax nostalgic on your uniqueness. What sets you apart from others. Because you are writing yourself a valentine with the intent on loving yourself more, next we’re going to compliment you. Now, this may feel like a slippery slope, but choose to compliment a part of yourself you may struggle with loving right now. For example, if you are struggling with body image, write about how much you love your chubby legs because they allow you to explore cool places. Or how delightful your unruly hair is, that it makes you feel wild and untamed and alive. Remind yourself of a forgotten belief. What if you allowed yourself to believe in guardian angels, imaginary friends, or fairy helpers? Or how about reminding yourself that changes were an adventure, not something to fear? Then close your valentine love letter with the reminder that you are so loved in this world. After you write yourself a valentine, read it back to the person you are today. What if you were to believe every word you wrote. To see yourself as a beloved? And to choose to love every part of yourself as it is, right now? Access the inner wisdom and loving heart of that child. Welcome yourself as a beloved child of God. Deserving of compassion and grace. I do not deny that you may bear some of life’s inevitable battle-scars, but you can honor the beautiful voyage you’ve been on by seeing the beauty rather than the tragedies. When you make the decision to own your story. And allow the act of writing a love letter to different versions of yourself. You open the door to not just healing, but loving yourself and your life even more deeply. Darling, it’s time to invite the bright, curious, and fearless child inside of you to shine. And anytime you’re ready to access her inner wisdom, all you need is a pen and paper. You can write yourself a valentine as a path to healing other scars and honoring yourself and your story. This is one of my favorite exercises. 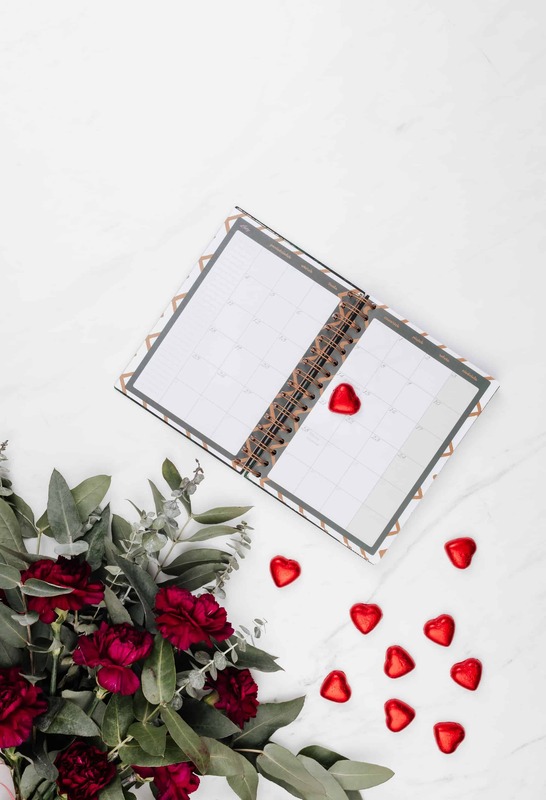 You can go through this process time and again by deciding to write yourself a valentine to different versions of yourself. Let the preschooler write a letter to the current version of you. Comfort the high school version of yourself with a love letter from the older and wiser you. Because you deserve to live a life that’s full of love, grace, and compassion. 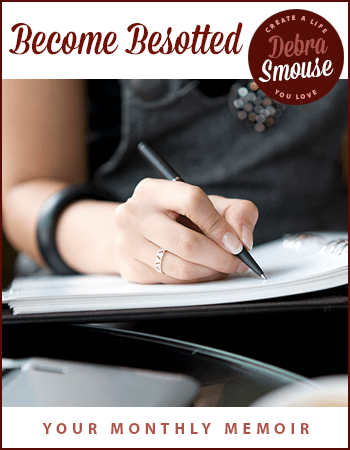 Join me in Become Besotted and write a love letter to yourself every month! Become besoted It begins with an initial booklet to help you evaluate – and love your current reality. 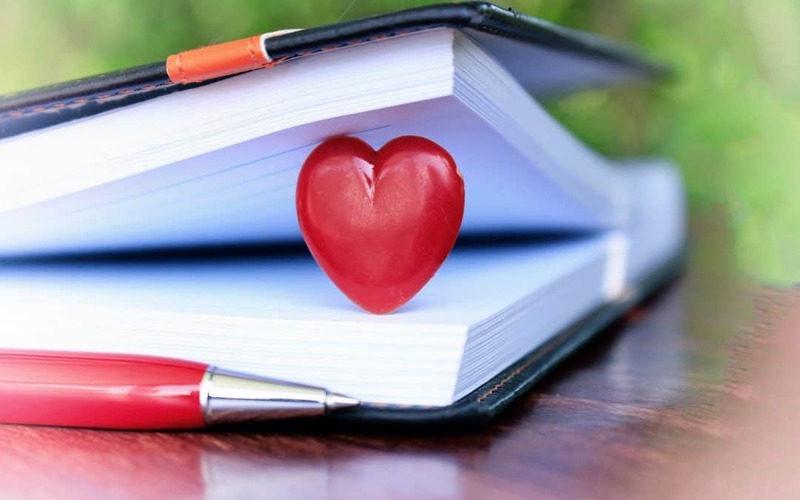 Each month’s chapter ends by inviting you to write a love letter to yourself based on varying themes. Because, darling, you can love your life. And still want more. And I’m here to cheer you along.